Friday's trading closed on a negative note after a pretty solid week of buying. 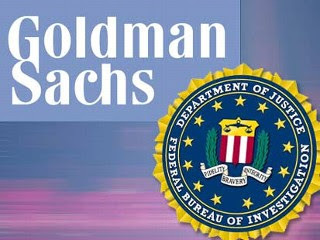 News of the SEC's lawsuit filing against Goldman Sachs claiming the existence of fraud. Really? Of course, these details were known by pretty much everybody for the past three years, but the government enjoyed turning the other cheek. I guess now they feel that the market is in a "stable" enough position for the government to go after the largest Wall Street bank and put blame on them for many of the current problems dealing with the financial credit crunch. For so long now, the government has been a friend to Goldman, however, it looks like their out for blood now. In the end, I don't expect many repercussions to be made. Maybe a few slap on the wrists, a couple firings, and some slight changes to policy. Other than that, I am pretty sure Goldman will make it out pretty unscathed. However, it did cause for alarm with investors as GS closed down over 12% today. Another wrench in today's trading was the unexpected low consumer confidence report. Many economists felt that after such a good string of positive indicating numbers, we would for sure see a healthy rise in consumer confidence. However, we saw a decrease. Due to continuing employment turmoil as well as other dragging economic indicators, consumers remained skeptical on which way the economy is headed. Sure, the inflated stock market has got to have helped consumers feel that we have recovered, but obviously that is not enough. I have said this time and time again that the recovery lies within employment. Sure, it may be considered a "lagging indicator", but the fact remains that with 1 out of 10 Americans unemployed, we are not going to race to any quick recovery. I do not see today's retraction making much of an impact on the momentum as a whole. I believe that, over the weekend, the Goldman news will become distant and we should see some more green in markets beginning next week. If by some chance more serious consequences are heading towards GS, there is a possibility that we could see a retreat from 11000 pretty quickly, which could lead to some aggressive selling. I will be looking for directional momentum on Monday to most likely set up what the rest of the week will entail. Next week should be a good opportunity to make some quick money. Happy Trading.